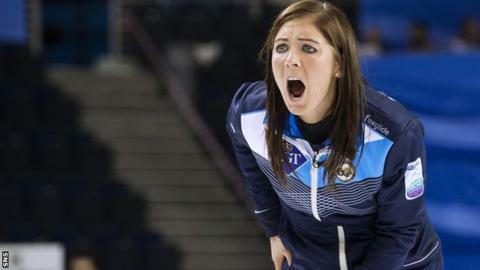 Eve Muirhead believes Scotland's new £3.15m National Curling Academy will improve her chances of winning gold at the 2018 Winter Olympics. Muirhead will skip the women for the third consecutive Games, with Kyle Smith leading the men's rink. "What they're trying to do inside the national curling academy [at Stirling Sports Village] is replicate the arena conditions," she said. "To have a facility like this on my doorstep makes training easier." Muirhead became the youngest curling skip to win an Olympic medal when her rink finished third in Sochi in 2014, and her team won bronze at the World Championships in March, having also finished third in the European Championships earlier in the year. The 27-year-old and her team-mates - Anna Sloan, Vicki Adams, Lauren Gray and alternate Kelly Schafer - have been working on fitness over the summer and will use the new facility to continue preparations for the Games in Pyeongchang in February. "To know you don't have to worry about skating on a Friday night being on, or club curling, or the ice conditions maybe not being up to scratch takes a massive weight off our shoulders," Muirhead said. "It makes a big difference the more consistent you can be out on the ice. We're enjoying training and when you're with four of your best friends out there on the ice, it makes a huge difference. "If we can be as prepared as possible and go into the Winter Olympics games having absolutely no regrets, I'll be happy. Whether you're at the top of the podium or not on it at all, we need to know that we gave it everything we had." Mike Whittingham, Sportscotland's director of high performance, believes that the National Curling Academy will play a role in the organisation's target of winning three medals at the Winter Olympics. "Our curlers are one of the most successful team sports in Scotland, they won medals all over the world, European and Olympics," Whittingham said. "One missing ingredient in their programme was all-year round ice. All the curlers can now access this. "We're less than six months away from the Winter Olympics and Paralympics, so that helps our men's and women's teams who have already been selected and our wheelchair curling team we're about to select in November. "We like to think athletes win medals on the world stage, but systems win then consistently. That's why it's so important to build a world class system in Scotland, and part of that is facilities. "It's highly competitive now and look at some of the countries that compete in curling on the world stage that didn't before. We constantly need to add things just to keep them on a level playing field. Korea and China are teams taking curling very seriously. 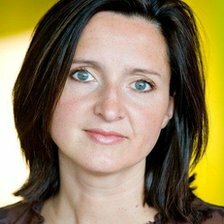 "We're always looking for cutting-edge opportunities. Athletes need access to their own facility, and this is a world class facility, so psychologically it will be a boost as well as help them tactically and physically."